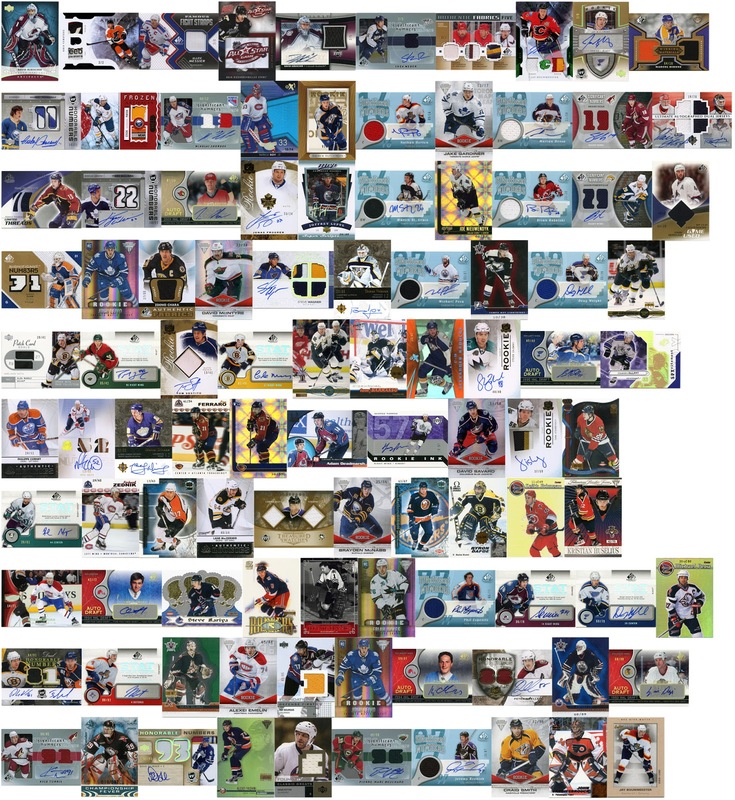 I've had a few people ask to see all one hundred of my '1 vs. 100' cards all in one fell swoop. It's neat to see all of them and go through them putting this together. I forgot about some of the great stories or quirky incidents that occurred over the six years of building it. Ray Ferraro - back to back (you'll have to find them). David Aebischer - a pair of real low offerings. Mark Messier - at #3......Ugh! Kristian Huselius - I think it's my favourite card. Lots of cards from the same products, but at the same time...I think I did a good job of mixing things up. I'm not much for framing or displaying a collection. I'm more the "hunt, find, acquire, store" guy. These all live in a monster box in my closet. This project is officially put to bed. And I have an idea on what I'm going to do next. Something a little more challenging, but will still be fun and (hopefully) inexpensive. Details to come. What team is represented the most? Have you got any cards with teams that no longer exist? Good questions......but that would require effort. Maybe one day I will do a stat breakdown or something. 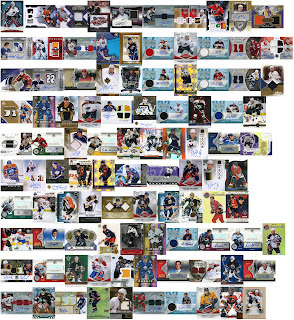 I know the Ferraro cards are from his days with the Thrashers.